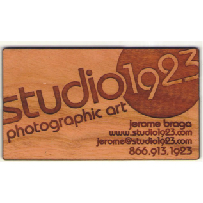 Visit often to get new, innovative, and useful promotional product ideas for your Denver business. If you use branded promotional products or logo apparel, you'll find our blog fun and informative. 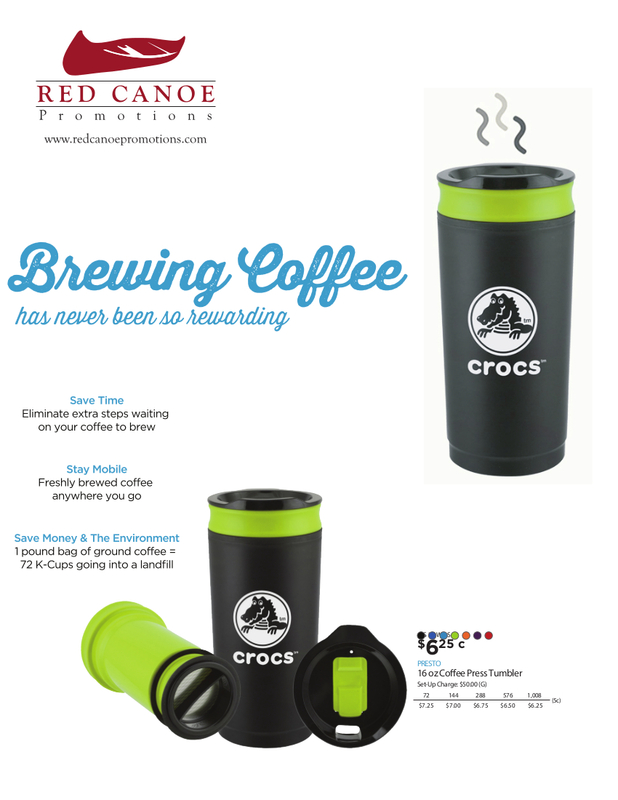 If you don't use promotional products, we hope we can open your eyes to the many unique promotional products available from Red Canoe Promotions in Denver, CO. If you can imagine it, we can probably put your logo on it. 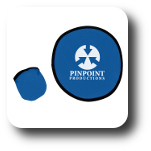 From the Denver promotional products company that rows through hoops for you! Great for: Company picnics and BBQ's. 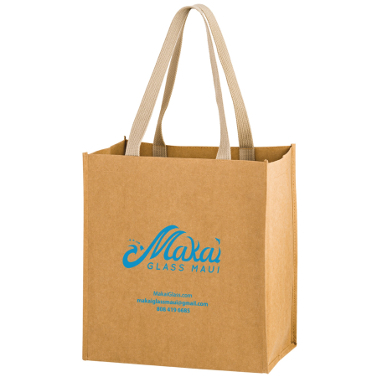 Great for: Farmers markets and food & drink festivals. 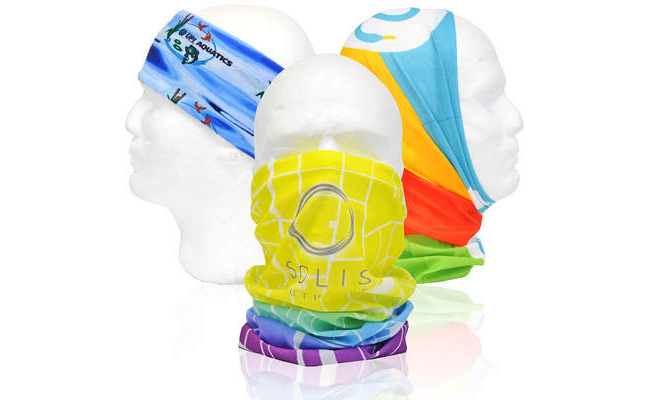 Great for: Marathins, 5Ks, fun runs. 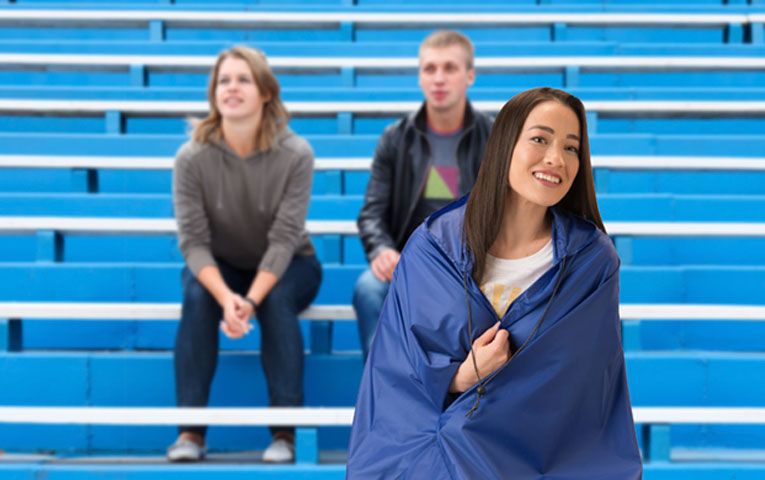 Great for: Music festivals, concerts, outdoor movies. 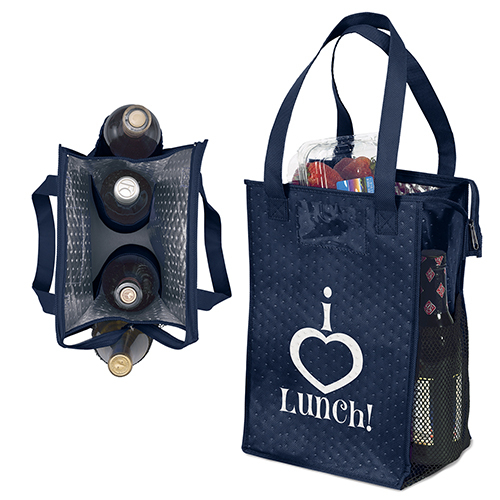 Great for: Golf outings and tournaments, farmers markets. 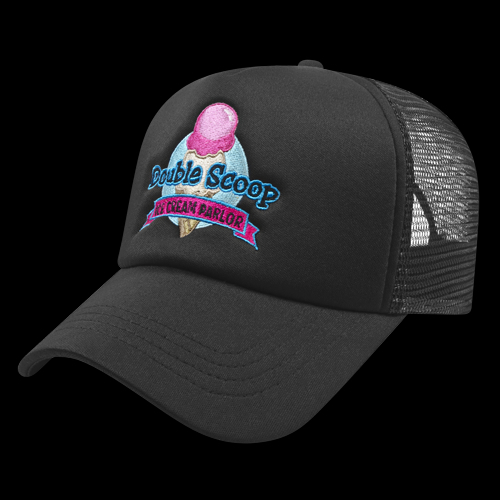 Honorable Mention: Branded Frisbees, Branded Cooling Towels, Custom T-Shirts, Logo Sunglasses, and Custom Koozies are all great for any summertime event! 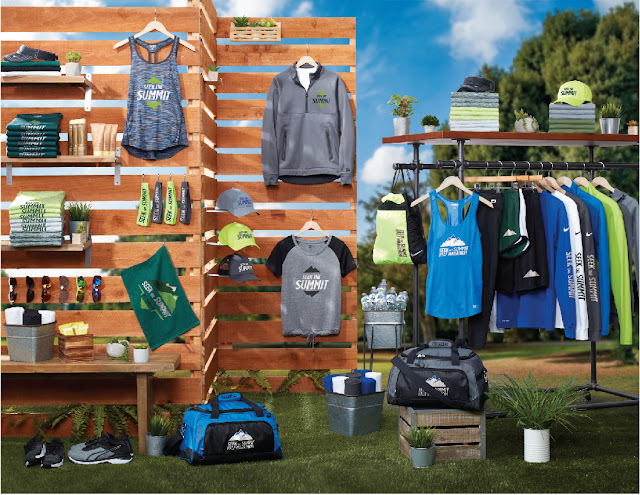 Ready to take your next outdoor event to the next level with branded merch? Call Red Canoe Promotions today and we'll put together some ideas specific to your company and your event! Spring is in the air, and that means it's time to get ready for golf season! Here are a few pointers to help you get started with planning your tournament! Choosing a golf ball that will work for everyone can be a tall task! There are many good brands and several different types of golf balls. Golf balls can be manufactured as two-piece, three-piece, or four-piece golf balls, which refers to the inner construction. They may all look the same on the outside, but the inside determines which golf balls are best for different skill levels. For golf tournaments where there will be players with varying skill levels, I recommend Titleist Pro V1, Pro V1x, or AVX golf balls. They're great for highly skilled players, but the spin and control that they provide can also help beginners execute the short game shots necessary to play their best. 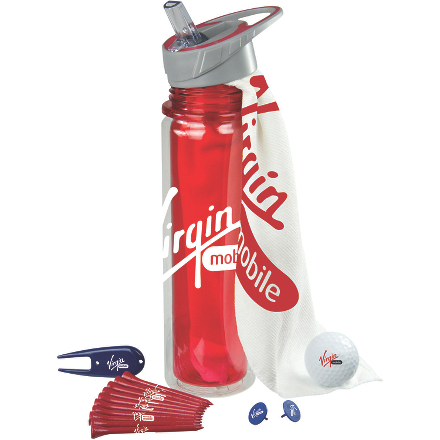 Golf swag can transform an ordinary golf tournament into a memorable one! 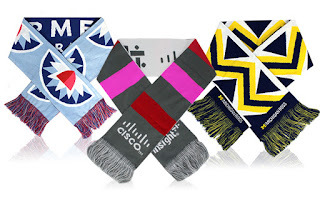 Individual branded products are great, but branded kits are what generate the "wow" factor. Choose from one of our pre-selected golf swag kits, or create a customized kit with the golf swag of your choice, containing everything you need for a fun tournament that everyone will remember! And most importantly, make sure it's fun and memorable for all attendees! Proper planning with the right leadership and team, combined with good promotional items and sponsors, will no doubt lead to a great tournament experience. With the April 15th tax deadline quickly approaching, a large number of checks are being written and sensitive information is being exchanged through the mail. With identity theft at an all-time high, it's important to protect yourself against fraud. 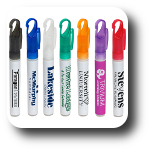 Our great selection of promotional pens with anti-fraud ink are a perfect giveaway during tax season. Recipients will appreciate the peace of mind of knowing they're taking steps to protect against fraud and identity theft. 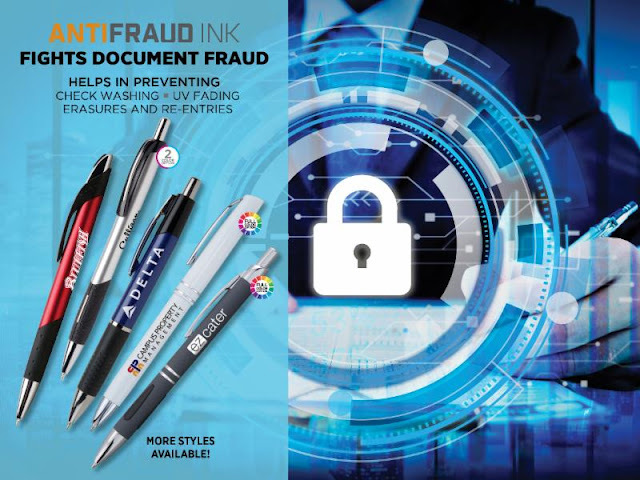 The ink in our anti-fraud pens penetrates paper, making it resistant to most forms of check washing (a process that uses chemicals to erase ink from checks, allowing identity thieves to replace your information with their own). The anti-fraud ink is great for accountants, because it also helps prevent UV fading, erasures and re-entries. Check out our most popular anti-fraud ink promotional pens and contact Red Canoe Promotions Denver for free mockups with your company logo! Near-Field Communication (NFC) is a type of wireless transfer which allows you to wirelessly send information such as images, videos, website URLs, audio files, presentations and more. 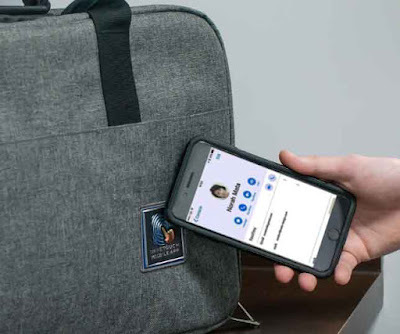 It's a super convenient and fast way to send information, and now we can integrate NFC technology into a growing number of promotional products. Certain imprint methods such as full-color epoxy doming and some types of logo patches can have an integrated NFC tag which allows users to transfer your pre-programmed data wirelessly to their mobile device. 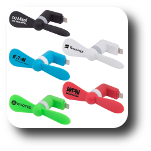 For a list of promotional products available with NFC technology, contact Red Canoe Promotions Denver today! It's no secret that plastic grocery bags and plastic straws are two of the largest contributors to landfill waste in Denver and across the US. That's why Denver leadership is beginning to take the first steps toward a ban of plastic bags and plastic straws. Legislation isn't yet underway, but if you're a company that would like to help reduce plastic usage, there are things you can do right now to make a difference and show off your organization's commitment to environmentally responsible practices. 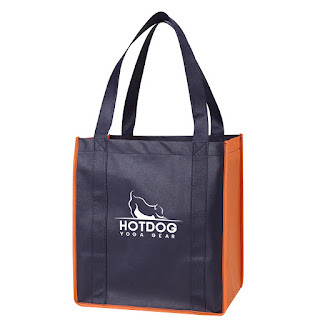 Red Canoe Promotions in Denver has a great selection of customizable reusable grocery totes that can be printed with your custom logo or design. 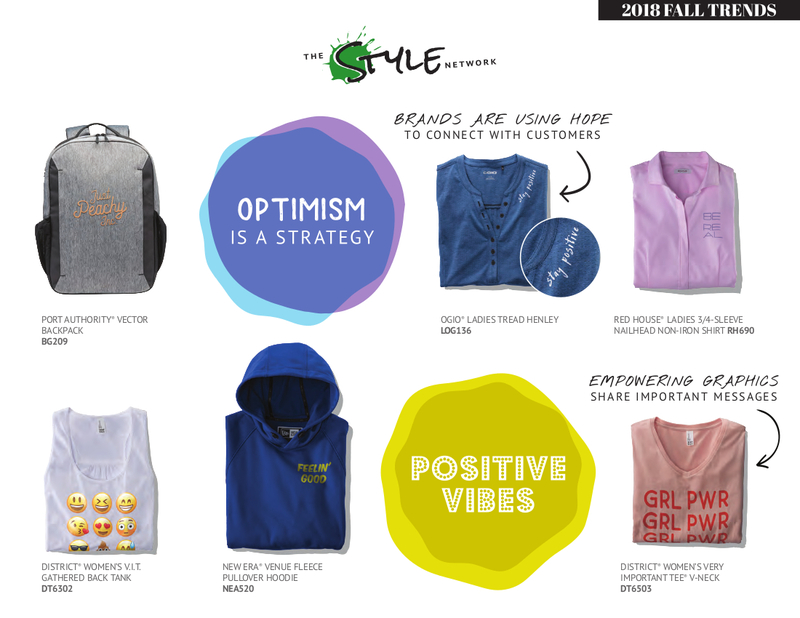 Not only will you be helping alleviate the plastic waste problem, you'll also have the added bonus of what is essentially a walking billboard for your brand. 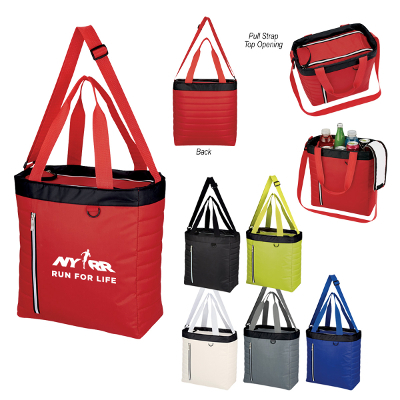 Promotional bags have the lowest cost per impression of any type of branded swag (by far), so you can feel good about having a positive impact on the environment while also promoting your brand in a highly visible yet economical way. Branded reusable straws are another way you can promote your company or organization while having a positive impact on the great city of Denver. Red Canoe Promotions offers branded reusable straws in both silicone and stainless steel. 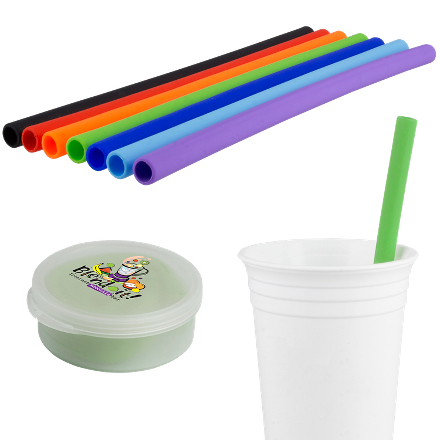 Logo straws are a quickly emerging trend in the advertising industry, so it's a great time to get your company on board with this up-and-coming branding opportunity. While bottled water isn't expected to be banned in Denver anytime in the near future, it's another large contributor to plastic waste across the globe. Branded reusable water bottles are a perfect alternative to disposable bottles, and they're available from Red Canoe Promotions in many sizes, materials and price points. 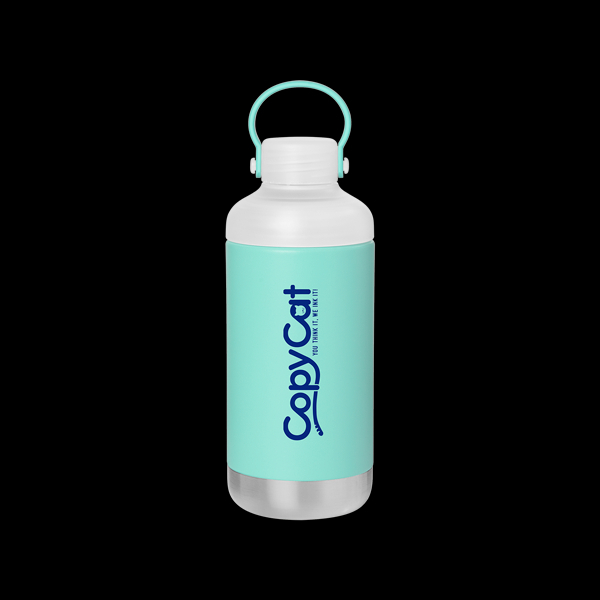 We have customizable water bottles for every budget, so it's a great promotional product to add to your marketing mix. Custom printed water bottles are yet another way your company can show its commitment to sustainability and waste reduction. As you're probably aware, Tariffs were imposed in September of 2018 on a vast array of products and materials coming from China. 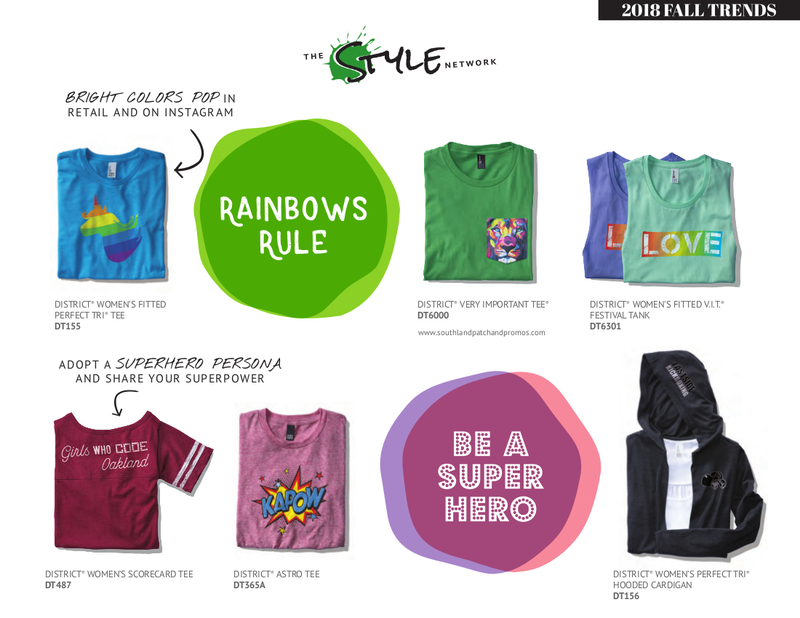 With the next wave of Tariffs expected to hit in early 2019, many of our customers are wondering if swag prices will be affected by the tariffs. Many of our promotional products will indeed have a price increase in 2019 as a result of the tariffs, but at the same time, there are thousands of promotional products made right here in the US that will not be affected by the Tariffs. 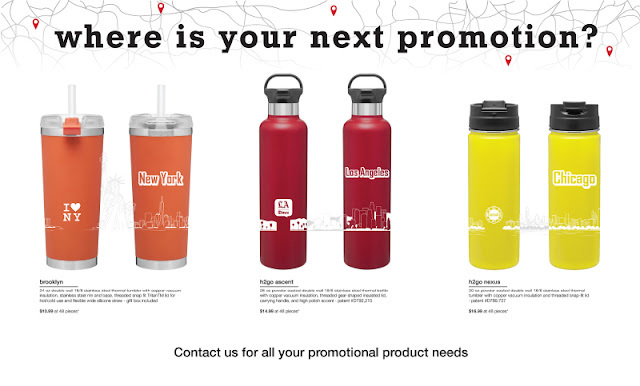 Check out our catalog of USA made promotional products and don't hesitate to contact Red Canoe Promotions Denver with any questions you might have. 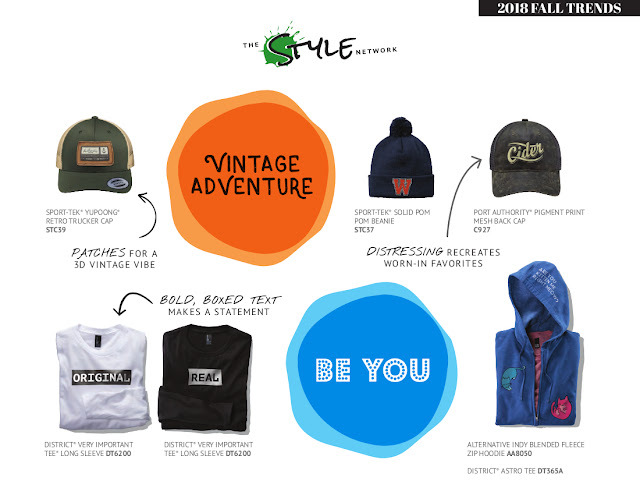 As always, we're here to help you find the best branding solutions at prices that fit your budget! 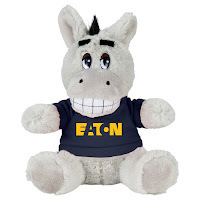 The Stadium Promotional Product Everyone is Talking About! The GrubTub® is a branded food plate/container that fits neatly over your beverage, making your food and drink easier to carry and freeing up your other hand! It fits on most 16-40 oz. souvenir cups, fountain drink cups, cans and bottles. The custom printed GrubTub® is stackable, reusable, durable, BPA free, and meets FDA requirements. It's the stadium swag everyone's talking about, and it's available now through Red Canoe Promotions Denver! Check out the branded GrubHub container here, and contact us today for your free virtual sample. 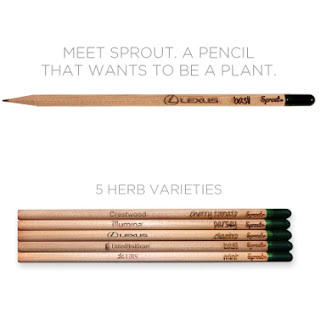 Plant these pencils when you're done and grow an herb plant! Plastic straws are one of the biggest contributors to plastic waste on on our planet. The solution? Biodegradable paper straws. These branded tote bags have the look and feel of leather, but they're made from washable Earth-friendly kraft paper. Branded stainless steel water bottles like the Ascent bottle (pictured) are one of the best earth-friendly promotional products available. 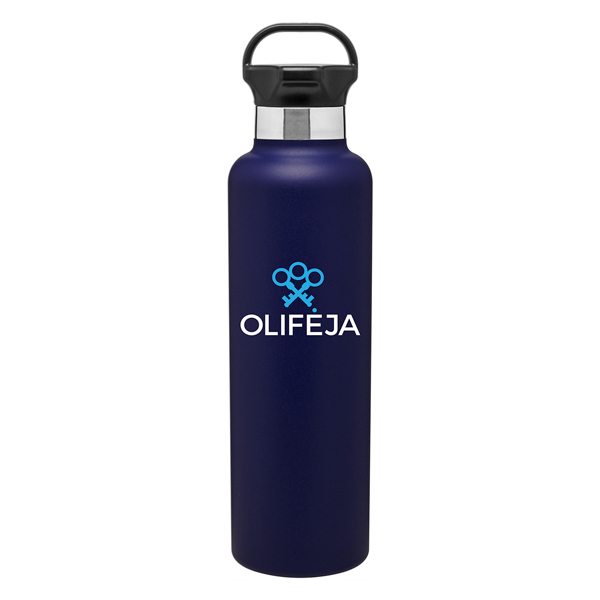 You're helping eliminate plastic waste from bottled water, and many of our reusable bottles have a huge imprint area and they'll be used for years by the recipient. Beetle kill is a huge problem with pine trees in the midwest, especially in Colorado, but the wood (also called blue stain pine) can be made into a variety of promotional products. Branded swag made from beetle kill pine makes use of a resource that would otherwise be wasted. 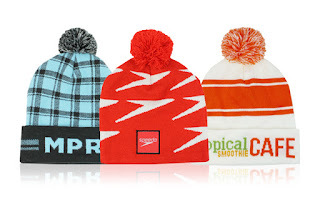 For more winter swag ideas, visit Red Canoe Promotions Denver! 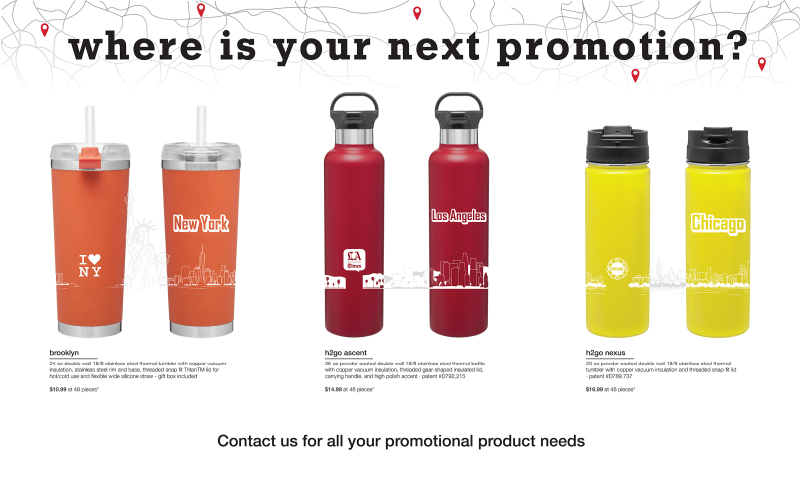 Where is your Next Promotion? Call Red Canoe Promotions Denver for a list of available products and to see a free mockup! 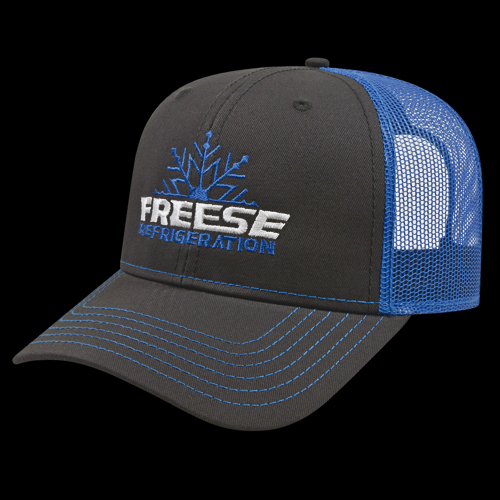 Cap trends are ever changing, but there are a few tried and true styles that you can't go wrong with when choosing a custom logo cap. These caps have a mesh back and, typically, a snap-back closure. The bill can be flat or curved and the front panel is often foam. Trucker caps originally started out as giveaways at truck stops by companies advertising their products, but they have grown to be one of the top selling styles in not just the swag industry, but in retail as well. 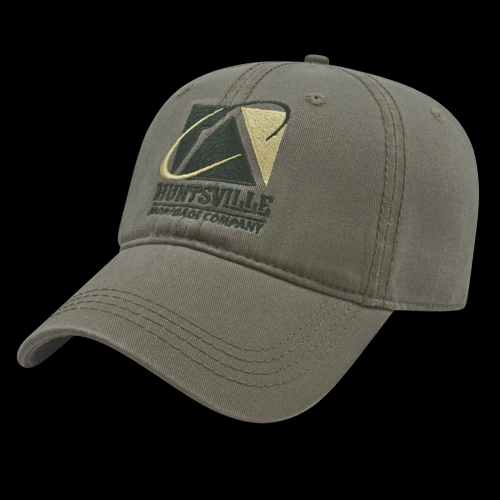 These low profile, unstructured caps are nicknamed dad caps, but they're popular across all generations. These cotton caps are great for a casual, laid back look. 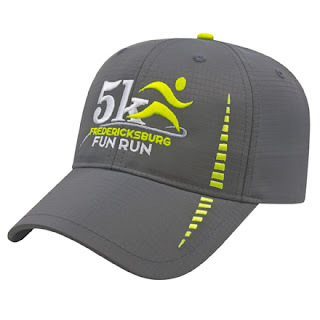 Modified flat bill caps are a modern, trendy style that resembles a trucker cap but is usually a six panel cap with a cotton front instead of foam. It has a slightly curved bill for those who aren't crazy about completely flat bills. Like trucker caps, they have a mesh back and usually a snap tab closure. It's not uncommon for this style to have bright mesh colors and contrast stitching. social sharing, it’s our unique identities and styles that become our individual YOU-NI-FORMS. Awareness season is upon us, and branded Infinity Scarves are a great solution. Contact Red Canoe Promotions Denver for more info or mockups! 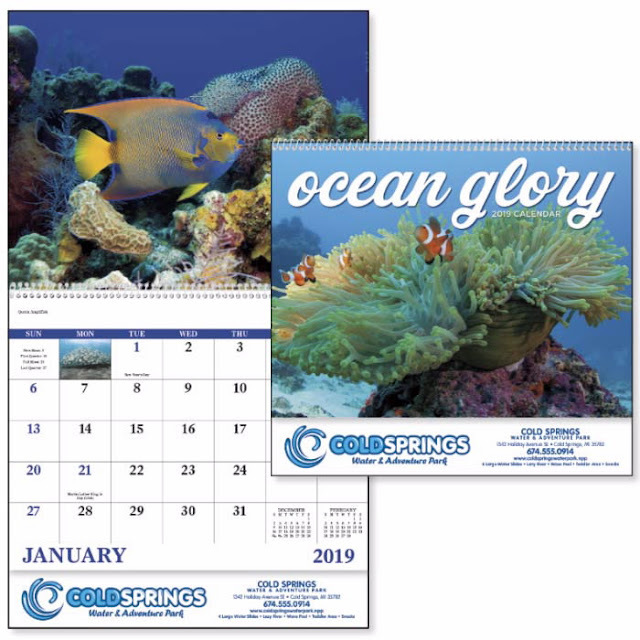 Branded 2019 Calendars are Here! Tailgating season is upon us, and what better way to gain valuable brand exposure than a custom tailgate package?! 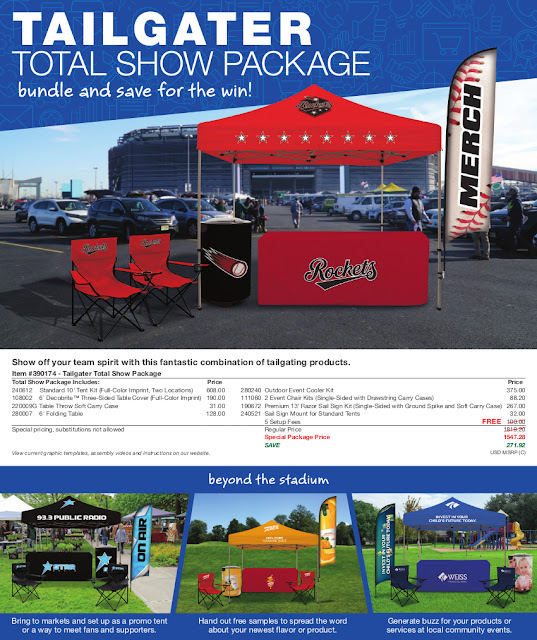 Pick and choose branded tailgating components, or buy the full package and save. And with all the traffic you'll receive with this attractive, attention drawing display, don't forget to order some tailgating swag to hand out to your visitors! Custom Koozies, branded flying discs, sunglasses, sunscreen- all great choices just to name a few! Call Red Canoe Promotions Denver today and we'll help you get set up with everything you need to build your brand during tailgating season. Beagle is a small branded Bluetooth tracking device that helps you locate and remember your most important items. The Beagle & Beagle app can alert you when you may be leaving without your most important items or map the location they were last tracked. The Beagle uses two-way technology: your phone helps to locate a Beagle device or a Beagle device can help find your phone by triggering an alert. The Beagle uses the Beagle 2.0 app featuring Search Party, a lost and found community for Beagle users. Call Red Canoe Promotions of Denver today for your free mockup! Summertime in Denver is here! That means it's time to start thinking about great ways to promote your brand for any outdoor events your company will be hosting or attending. 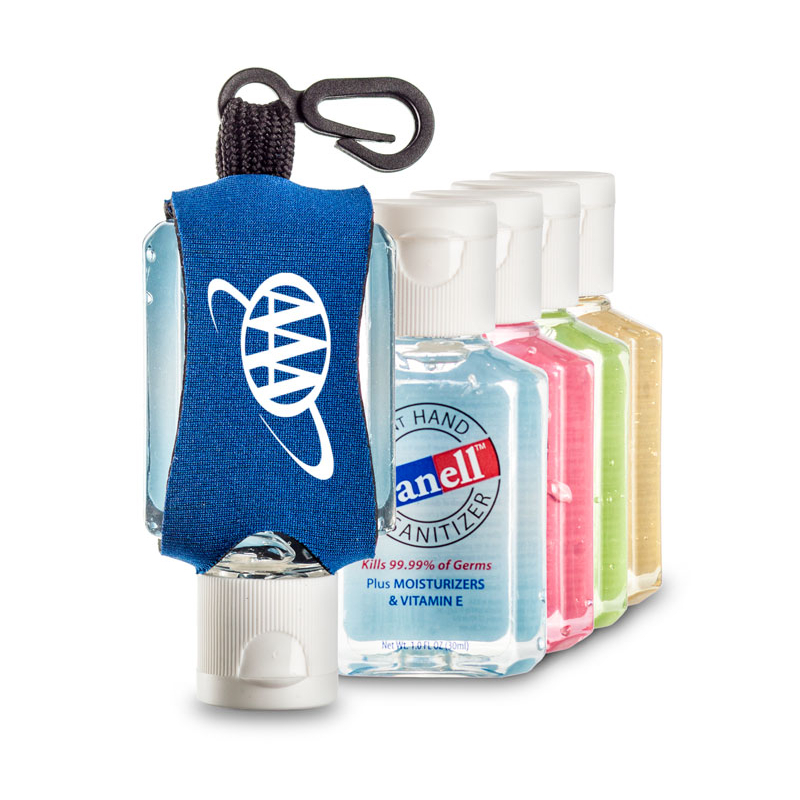 Here are a few of our favorite promotional products to promote outdoor summertime events like 5K's, walks & runs, summer festivals, concerts, parades and company picnics or barbecues. When it comes to branded sunglasses, there are hundreds of great styles to choose from. Looking for something fun and different? 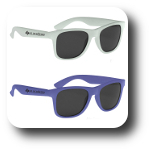 Try our imprinted color-changing sunglasses for a unique twist! 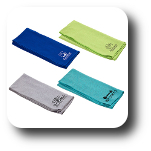 A promotional product everyone will appreciate, branded cooling towels are guaranteed to get used time and time again. Try our copper infused promotional cooling towels for superior cooling and odor reduction. We like these custom flexible flying discs because when you're done tossing them around, they can double as a hand fan to help you cool off! Block harmful UV rays with branded sunscreen. It's a must-have for summertime outdoor events in Colorado. Branded sunscreen spray pens are easily stored and convenient to use. Plug this mini branded fan into your cell phone and voila! You're ready to take on the summer heat. 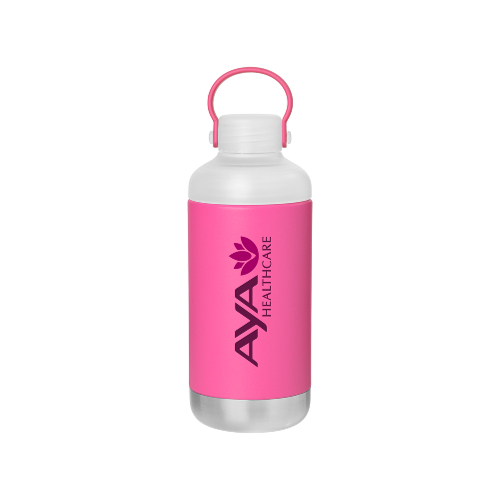 Whatever your budget, branded water bottles are a great way to promote your summer event. 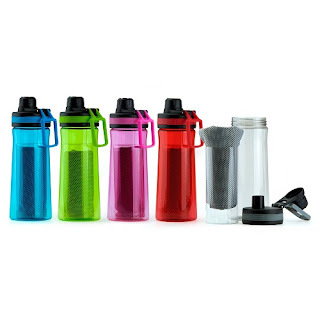 With options starting out under $1 each, there's a water bottle for every budget. 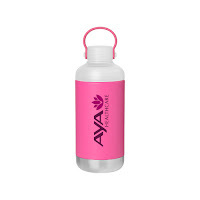 The DJ branded water bottle is the perfect promotional product for outdoor music festivals and concerts. Need more ideas to promote your summertime event? Call Red Canoe Promotions Denver for free ideas and mockups! Add Your Logo to the #1 Colored Golf Balls on Tour! Looking for something a little different for your next golf tournament? Add your logo to Vivik Vivid colored golf balls and you'll be sure to generate lots of buzz and excitement for your brand. 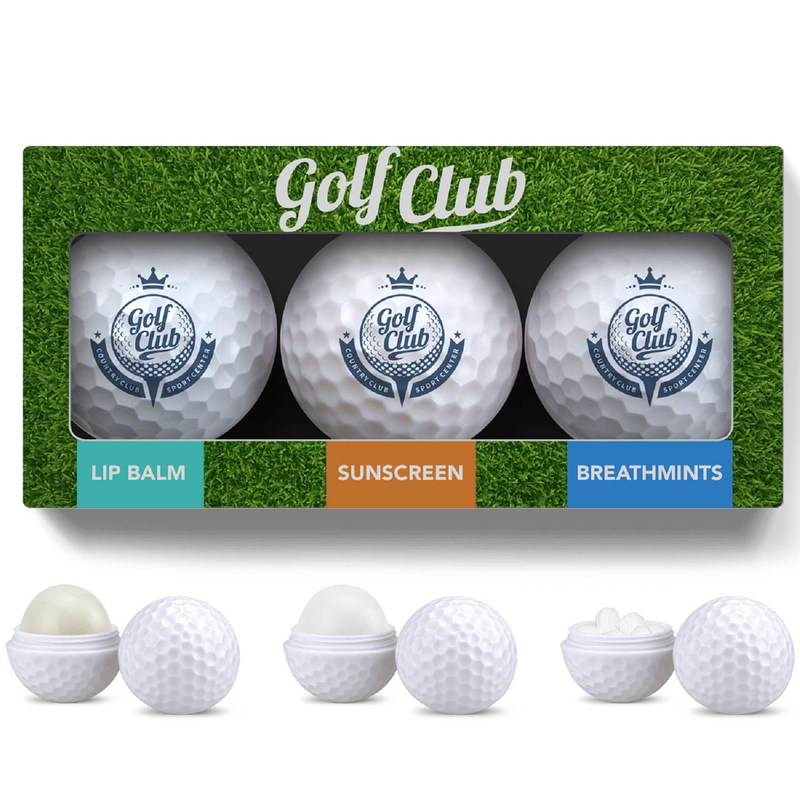 Vivik branded colored golf balls are available now from Red Canoe Promotions in Denver. Stars & Stripes + Your Logo = The Perfect Pair! 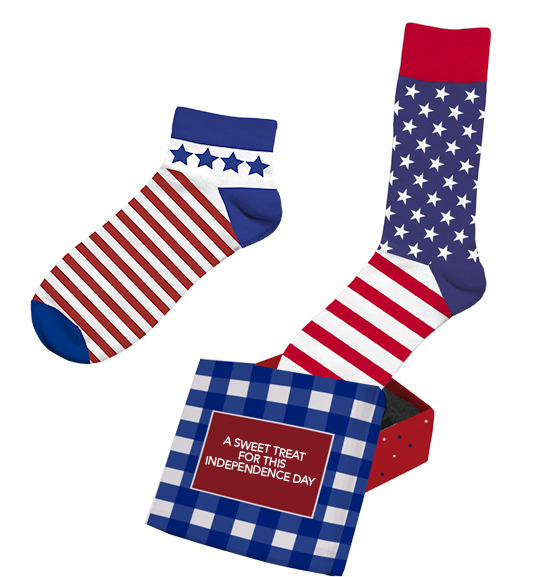 Custom 4th of July socks with your logo are the perfect promo for your independence day festivities! Order now to ensure delivery before July 4th! 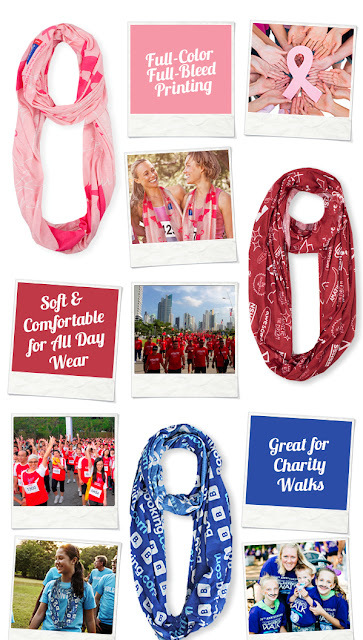 Or check out some of the other great US flag themed promotional products available from RCP Denver! Don't settle for lanyards that get tossed! Upgrade to a full-color imprinted lanyard and a Micro-USB to USB cable in one. Decorated in full-color to grab attention, the Toddy Cable Lanyard features an extra wide surface and a durable exterior that will promote after the event, extending the usability and life what we know as a "lanyard." 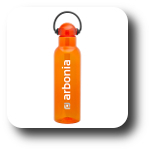 Hot New Promotional Product Alert! Check out the new "Presto" branded coffee press tumbler from Red Canoe Promotions Denver! 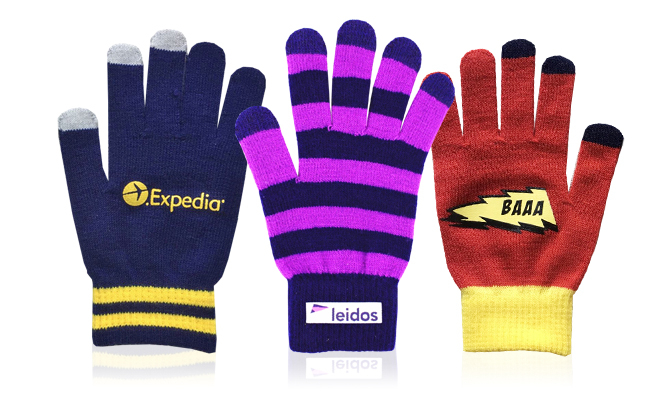 These make great employee gifts and incentive prizes, and your customers and prospects will love them too! An innovative and useful promotional product from RCP Denver. They're flying off the shelves, so be sure to order your branded coffee press tumbler today to reserve stock! These Golf Promotions are a Hole in One! Spring is almost upon us and that means golf season! 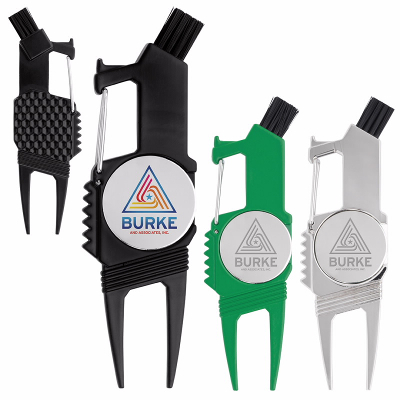 Company golf events are a great time to show off your logo on fun and useful golf promotional products. Here are five ideas to help you tee off the right way! Lots of other great options are available from Red Canoe Promotions Denver, so get in touch with us today and we'll help you make waves at your next golf event!